The entry fee of Rs.150 for eight minutes is neither a tax nor a fee. It is actually a parking and usage charge which any Airport is entitled to charge, said the Court. Delhi High Court has dismissed a Petition filed by cab service ‘magic sewa’- an app-based cab company praying for a direction to Delhi International Airport Ltd (DIAL) for quashing of entry fee charge of Rs.150 on commercial vehicles and also for a direction to respondent no.2-DIAL to allow petitioner to use the same lane as Licensed Taxi Operators for parking and picking customers. Mr. Pranav Sachdeva, counsel for petitioner stated that as a duly licensed cab service, petitioner fulfils the criteria that DIAL has laid down for licensed taxi operators using dedicated Lane no.1 at Arrival Hall at IGI Airport such as driver training, security measures for passengers including police verification of drivers, fitment of GPS device etc. He also stated that the petitioner is ready to abide by all reasonable conditions and pay any fee for using Lane no.1. He submitted that the contract signed with three select cab companies cannot be used to eliminate competition and create monopoly of a few. Consequently, he contended that the petitioner deserved to be treated at par with select cab companies and should be permitted to pick up passengers from said Lane no.1. He also submitted that that the entry fee of Rs. 150/- is unreasonable, unfair, discriminatory and arbitrary as it had been levied on taxis including those licensed by Delhi Government, but not on the three select companies with whom respondent no. 2-DIAL has a contract. He stated that the three taxi operators do not have any right or entitlement to be bestowed with such a huge favour that virtually eliminates all competition at the airport. But Mr. Milanka Choudhury, who appeared for DIAL has contended that the licensed Taxi Operators in terms of the Licence Agreements are required to provide non-stop round the clock taxi service at the IGI Airport with high standard of service levels which includes cabs not older than four years, professional and trained staff conversant with English and Hindi as well as maintain complaint register and action taken reports, install LCD screens amongst other service level standards. He pointed out that the respondent no.2 carries out study by independent consultant to ascertain that the service standards are being met. He emphasised that these standards are not applicable to the petitioner. 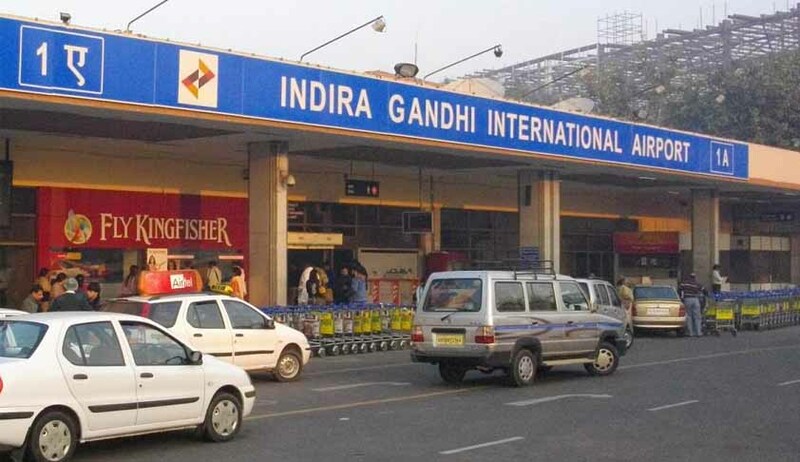 Justice Manmohan, who heared the matter, was of the view that the decision of DIAL to enter into license agreements with three successful bidders for round the clock taxi service with higher standards of service quality is reasonable, fair and cannot be faulted with as it ensures that reliable and dependable sources, provide the essential facility of private transport at IGI Airport. A service provider who has a long term contract is most likely to ensure that best services are provided to the passengers as it has much to lose, if anything goes wrong. One also cannot lose sight of the fact that experience at the Airport of an incoming foreign passenger is the first impression that he has of the country. Justice Manmohan has also observed that the petitioner as well as other taxi operators and app based providers can easily park their vehicles at MLCP and pick their passengers from MLCP which is integrated with the airport and avoid payment of the entry fees and that too, without disrupting the smooth flow of traffic at Terminal-3 Arrival. The Court also held that the petitioner has no locus standi to challenge decision of respondent no.2 to allocate Lanes-1 to 3 to licensed Taxi Service Provider as the petitioner was not even in existence at the time of tender and had consequently not participated in the biding process. The Court has made it clear that the entry fee of Rs.150 for eight minutes for using Lane-3 is neither a tax nor a fee. It is actually a parking and usage charge which any Airport is entitled to charge.